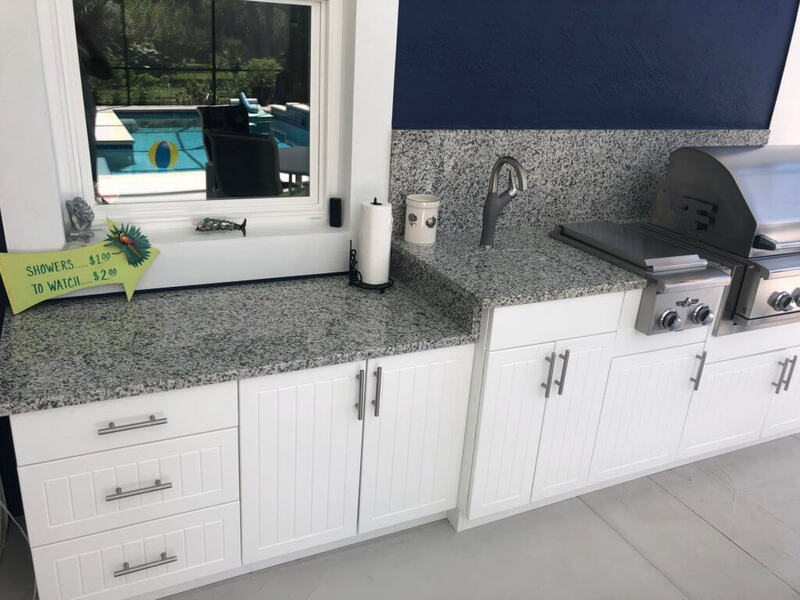 Werever Outdoor Cabinets provides custom HDPE cabinetry to fit any space. 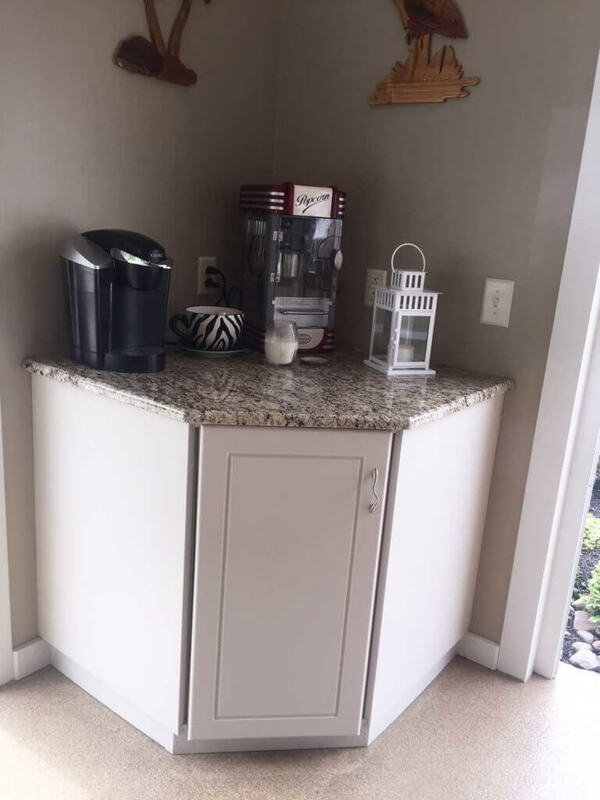 For that reason, we can customize our cabinets to fit challenging locations, regardless of the area in question. 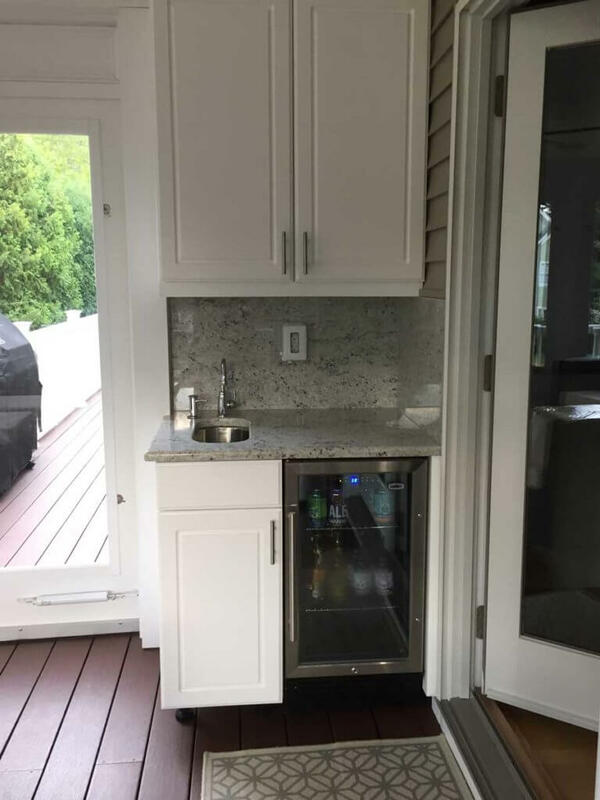 Below are some examples of how we design our custom outdoor cabinets to fit different areas. Werever accommodates low sitting windows because of its custom outdoor cabinets design. 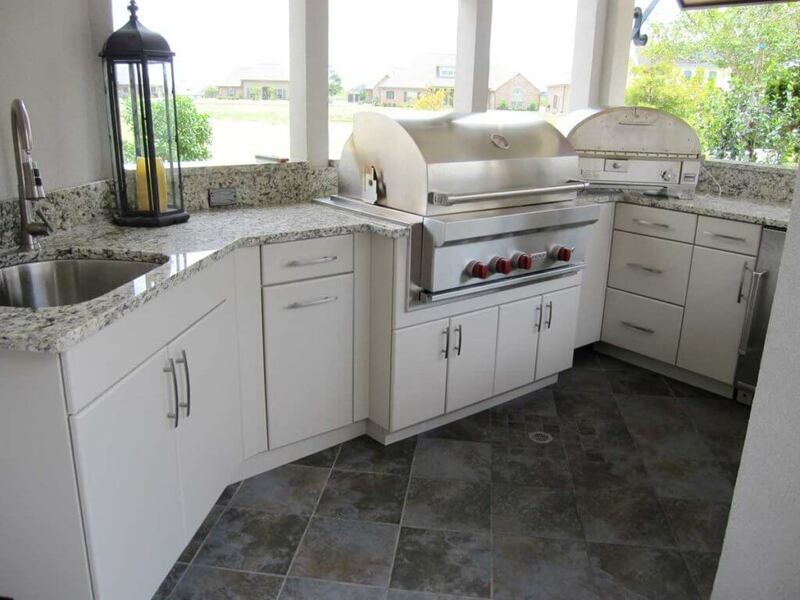 As example, a client asking for a grilling station and a small sink with usable countertop space (below). The low window sill is usually a challenge for other companies that lack customizable cabinetry. 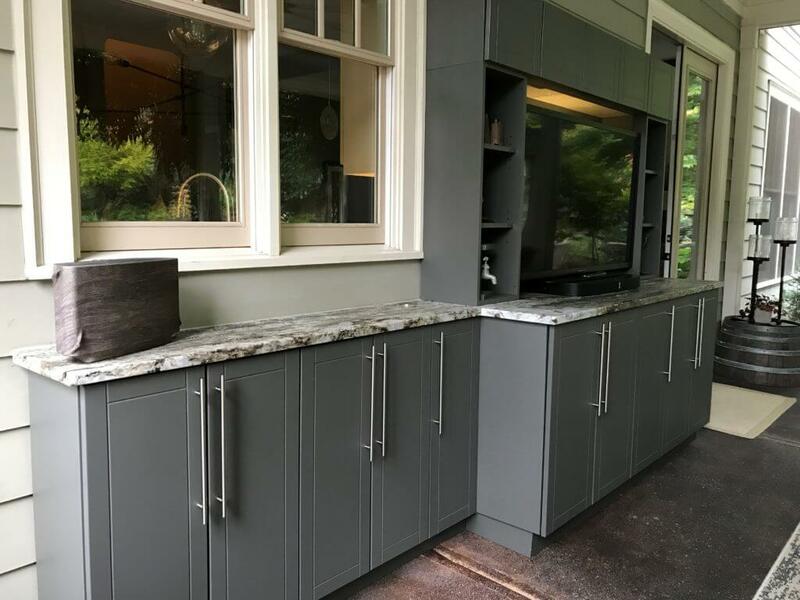 Werever designed and provided the dreamed counter space and added functional storage below the window furthermore. Similarly, another client asked for a custom project. 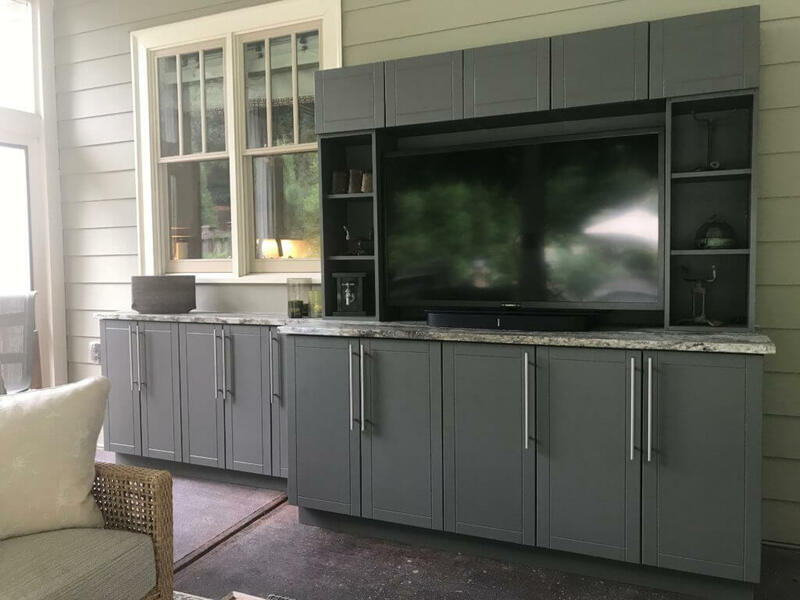 He wanted a TV hutch for an outdoor space and plenty of storage. 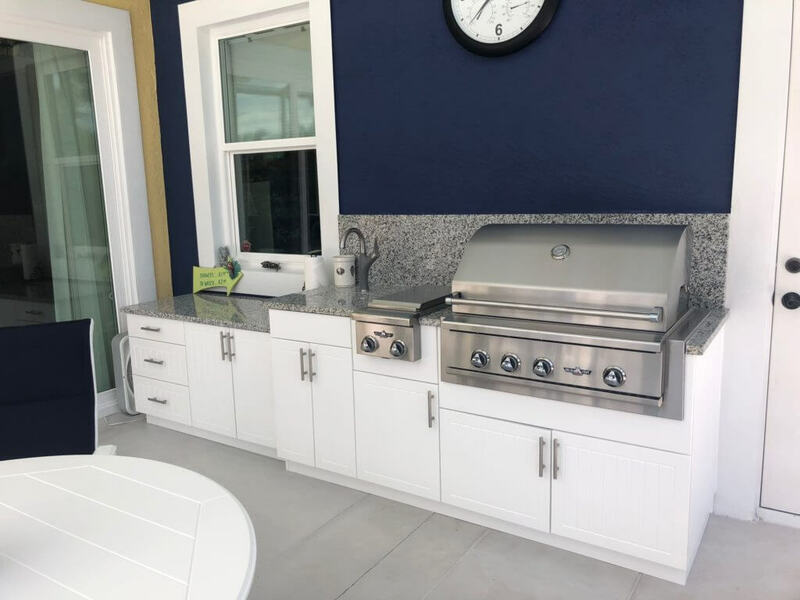 Outdoor kitchen with TV is definitely a trend. Werever’s designers incorporated the TV in a built-in appearance with storage below and above. Using a wall cabinetry atop of the countertop and spanning above the TV we achieve a successful project. The width of the lower and upper cabinets were modified to achieve a nice, symmetric appearance to all of the cabinet doors. Werever’s cutting edge technology allows any creative project. Therefore, “tricky” angled walls won’t be a reason for poor aesthetic solutions. 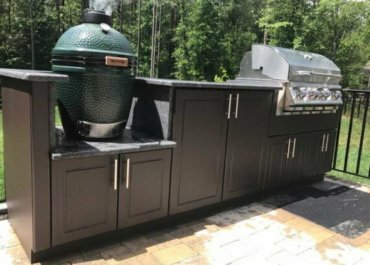 Below is an example of a stunning outdoor kitchen with custom cabinetry. The design plan incorporated this wall challenge perfectly, proving great storage and above all, a beautiful look. Tiny spaces in your kitchen have also huge value at Werever. Most importantly, every small corner has potential for storage space and our designer won’t miss that. In conclusion, you can dream high with your outdoor space. During your free consultation with a Werever designer, tell them all your wishes. They will translate the unimaginable into reality.